This large pull along wooden bunny is the perfect pal for older babies and toddlers. 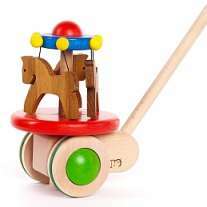 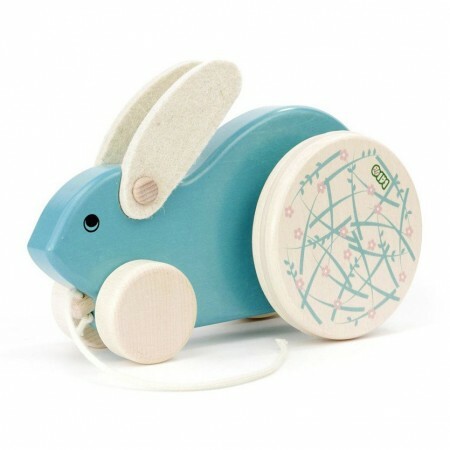 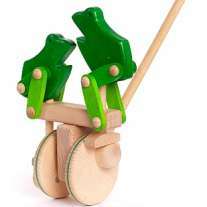 It has natural wheels, a light blue painted body, soft tactile ears and a cord to pull it along by. 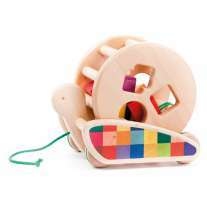 This sweet toy will be enjoyed by little ones who will love to push and pull it across the floor, taking it with them wherever they go. 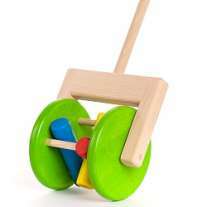 It makes a great chocolate-free Easter gift for tots too.